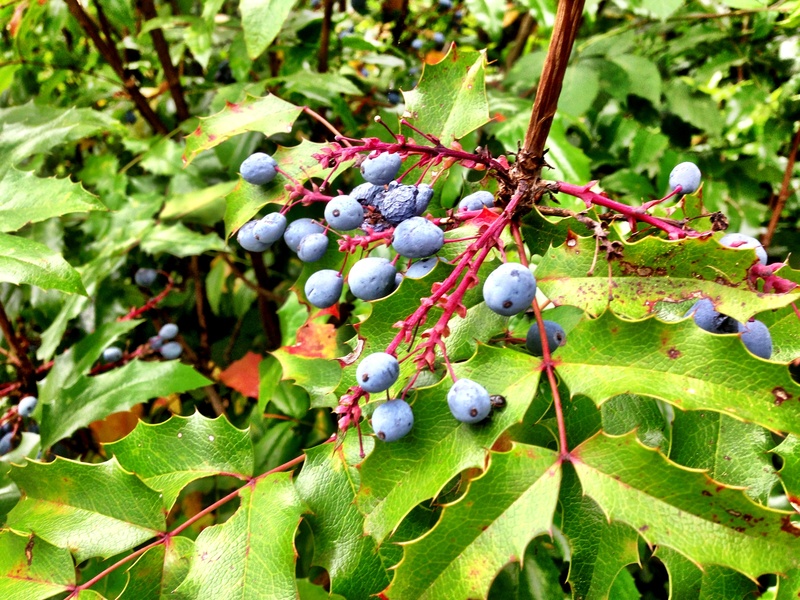 The Oregon Grape in the park near our house is a luscious deep purple blue color and the berries are just a bit soft to the touch. On the way home I picked some berries then made jam with my harvest. This deep blue jam has a great flavor and pairs nicely with sourdough bread or vanilla ice cream. 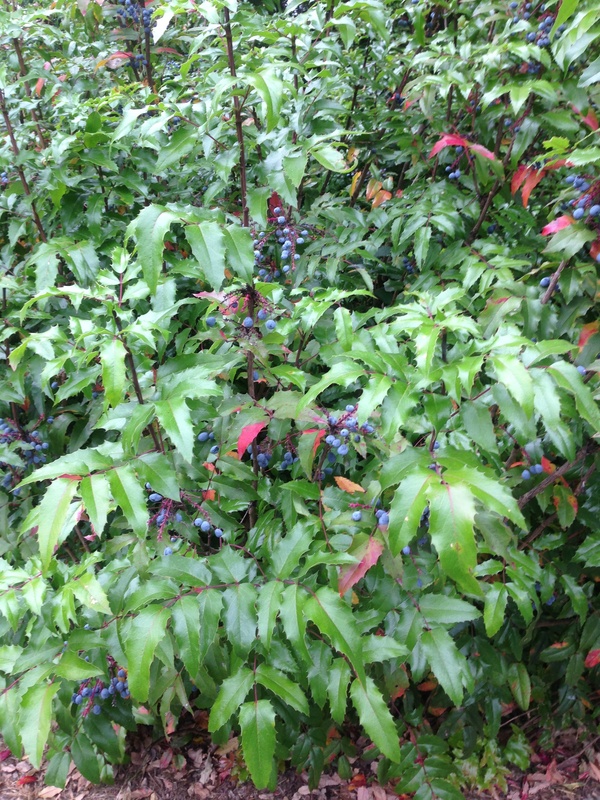 The two species we have growing in the Seattle area are the tall Oregon-grape (Mahonia aquifolium) and low Oregon-grape (Mahonia nervosa). The berries from both of these can be used to make jellies, jams or fruit leather. I have always wanted to try making some, don’t trust that I know which berries to pick… As soon as I figure it out, going to make a batch! Here is an identification guide that might help: http://budburst.org/pdfs/idguides/Oregongrape_id.pdf. It is important to make sure you are getting the right berry and that it hasn’t been sprayed with anything. Let me know if it’s still hard to id and let’s go for a walk!